The garden is slowly growing. We've had lots of rain but not much warmth and sunshine. I did pick all of the spinach last week and ate a salad of spinach and radishes. 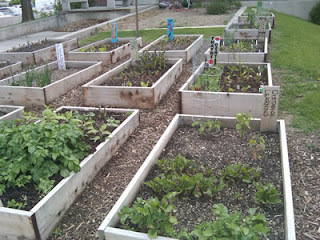 I still need to plant a bit more ---- but other garden plots are very happy!